Passionate about teaching you to ski. 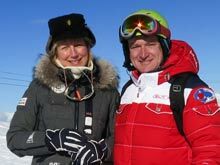 Welcome to MH2ski - a specialist in ski lessons for individuals, families and small groups. I am Martin Hemsley, a British private ski instructor based in Méribel, France. With over 20 years’ experience in teaching and guiding skiers around the magnificent Three Valleys ski area, I have a passion for skiing in these mountains and am fully committed to ski teaching. My ski lessons are 100% tailored to you, my approach is flexible to meet your ski ambitions. My aim is to look after you on the mountain; teach you new skills, help you to improve your ski technique and most of all ensure that you have a fantastic skiing holiday. I provide ski tuition and mountain guiding to suit you: full weeks, full days, half days (mornings or afternoons). 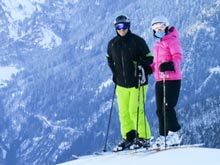 As a British instructor qualified to BASI level 4 International Ski Teacher Diploma, I work with individual skiers, couples, families and groups of friends. So whether you're looking for ski guiding in the massive 3 valleys from first to last lift, or want your personal instruction blended with the best hot chocolate and lunch venues, I will aim to make your holiday truly memorable. With my skills- based system of learning, I give you the tools to safely negotiate any demands the mountains make on you, helping you to increase your comfort zone and ski in a wider range of conditions. Whether you are a nervous novice, a blue piste cruiser or an all mountain adventurer, I tailor your ski lessons to create a perfect fit. The question is, which one are you? I love to ski, I love to teach people to ski - it's a winning combination. I help you unlock your ski potential with my skills-based system of learning. Unlike in larger groups at ski school, I work at your pace to accelerate your progression. I focus on the skills that you need to improve your technique and build your ski confidence. And we have fun along the way! You will find my approach patient, flexible, safe, considerate and above all fun. I hold the prestigious British Association of Snowsport Instructors level 4 International Ski Teacher Diploma with full French equivalence. My priority is to help you make lasting breakthroughs in your ski performance and enjoyment. Méribel is one of the Europe’s premier ski resorts, situated in the middle of Les Trois Vallees (The 3 Valleys) in the French Alps, the biggest ski area in the world. Unlike some ski resorts, Méribel has retained its beautiful alpine charm, while still hosting an impressive range of facilities including numerous high quality restaurants, shops, bars and nightclubs all conveniently situated around the resort. 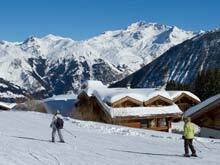 There are some 600km of pistes in the 3 Valleys area. And with almost 700 snow cannons and an unlimited water supply, you can expect to find great snow cover during the winter on much of the mountain.